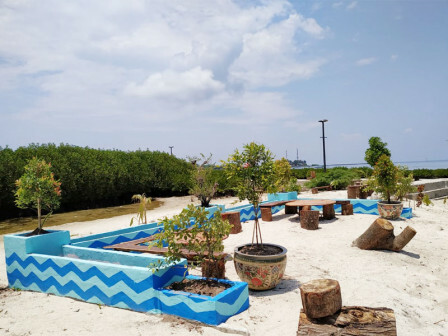 A flora garden is developed on the east end of Tanjong Timur Child-Friendly Integrated Public Space (RPTRA), Panggang Island, North Thousand Islands.
" My hope is we can attract more children to play and interact each other"
"This flora garden work is actually finished today," expressed Tanjong Timur RPTRA Caretaker, Fauzy, Thursday (3/28). Since being opened since last January, it has been noted that more than 250 people visited to the park every weekend. Nevertheless his side continues to beautify the park by utilizing empty spaces. "My hope is we can attract more children to play and int eract each other," he said.